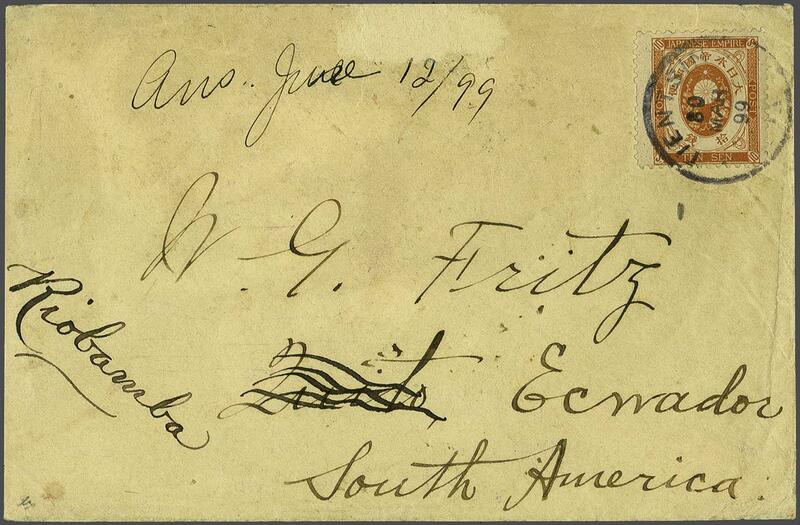 Japanese Post Offices 1899: Cover from Tientsin to Riobamba, Ecuador franked by Japan 10 s. brown tied by TIENTSIN / I.J.P.O. datestamp (March 30) in black paying single rate. Reverse with 'Shanghai / IJPO' cds (April 6), Yokohama cds and 'Victoria / BC' cds of transit (April 24). 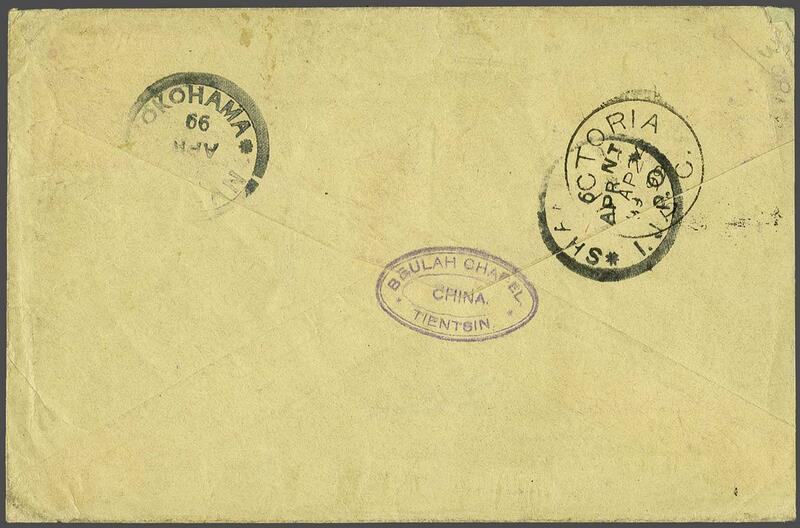 An extraordinary destination for Chinese mail at this period.